The end of 2018 saw a big slowdown in the purchases of new smartphones. Apple was one of the most affected, reporting that iPhone revenue fell by as much as 15 per cent. Samsung too, failed to perform as well as in previous years, recording a sales decline of 4.4 per cent in Q4 of 2018. In a world where consumers are near-addicted to their smartphones, it begs the question: what is causing these slumps, and is the smartphone heyday finally coming to an end? New device launches aren’t driving as much excitement as they used to. New updates are only incremental feature upgrades, rather than disruptive innovations that really set one device generation apart from the next. What’s more, the ever-increasing cost of smartphones has made consumers more reluctant to switch or upgrade. This trend is creating a new type of subscriber – one that holds on to their phone for several years, uninterested in upgrading when a new device is launched, yet absolutely reliant on their smartphone and protective of the device and its content. This new subscriber is driving the adoption of SIM-only contracts, and while this is good news for consumers, this growing trend places several obstacles in the way of profitable revenue streams for today’s operators. So, what’s the solution? Much like for the handset vendors, declining smartphone sales is a tough pill to swallow for today’s struggling operators. Operators are faced with squeezed revenue margins, and are under intense pressure to put in place a robust digital transformation strategy. Combine this with the ever-declining value of mobile data and the increasingly competitive nature of the tech and telecoms market welcoming new OTT, digital-native players means operators are facing pressures from all angles. At the heart of this operator struggle is the subscriber – a subscriber that is becoming increasingly price-conscious, yet more dependent on their smartphone than ever before, less engaged with their operator, yet more demanding from a quality of service and quality of experience point of view. This new subscriber wants more offers, more services from their operator. And while they will be unwilling to spend north to £1,000 on a new device, they will be precious of the content stored on their phones. This subscriber will have little loyalty to their operator, they will be willing to churn at the drop of a hat, or at the sight of a cheaper deal. This new position in which operators find themselves is an unstable one. But the reality is that they must embrace these obstacles to guide their transformation and renewed ability to better deliver new services. Operators around the world, and particularly in Europe, need to find alternative streams of revenue, and quick. Failure to do so will consign them to the dark ages and see them struggle to compete effectively. 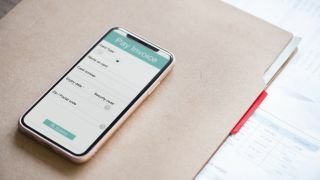 By now, most operators know that they can no longer create lucrative and sustainable revenue streams from voice and messaging services, and connectivity. ‘All you can eat’ data bundles are becoming the norm in a bid to attract and retain data-hungry subscribers. As we see data value fall to zero, coupled with the slump in smartphone sales, operators will need to shift their focus to creating secondary revenue streams. Subscribers are all about convenience, if they can get all the services they want and need via a single source, all the better. Today’s data-driven society sees subscribers consume hours, days, and weeks’ worth of content, from video, to TV streaming services and music and podcast applications. Subscribers are constantly taking pictures, recording videos, and subscribers’ busy lives means they are relying on their smartphones to track their health, eating habits, work and personal schedules. The smartphone has become the gatekeeper to a subscriber’s life and protecting it has become a key concern. For operators, this presents a huge opportunity to offer a number of additional services, such as subsidised music streaming services, discounted sports TV packages, or even device insurance deals. Not only would these offers help operators create that all-important secondary revenue stream, but they would also help operators claw back some of the revenue lost out to other providers. Additional services form the basis of positive subscriber/operator engagement, in a world where subscriber loyalty can be so fickle and in which customer experience is everything, this can prove to be a significant differentiator. When offered in the right way, in the right context, additional services can help operators leverage their relationships with their subscribers to enhance their daily lives, beyond the realm of data connectivity and handsets. Indeed, offering new services helps to remove the burden away from the subscriber in needing to make a decision – which OTT video streaming service should they use? Which device insurance should they go for? This level of ease and convenience undoubtedly makes for a more engaged subscriber, and ultimately creates another platform on which operators can interact with their customers. It can also help to carry the subscriber/operator relationship further than would otherwise be possible. This will prove particularly important as we see more operators shift their attention to their digital channels, moving away from investments in physical retail stores, thus losing out on the physical touchpoint with their subscribers. Being able to extend the operator/subscriber relationship beyond traditional touchpoints will be a key differentiator, particularly if operators can compete on more than just price. For operators, 2019 is all about diversifying and expanding their offering. With 5G around the corner, the pressure is on for them to monetise their massive investment. Doing so will not be possible alone, however. They will need the help and trust of their subscribers to offer the level of service that they want and need, and will need to form successful partnerships with companies that are able to meet these subscriber demands. This will require a shift in mindset – out with the traditional ‘go it alone’ approach, and in with a collaborative partnership attitude that encourages the implementation of innovative services. This new mindset will also need a renewed focus on the subscriber profile and how its evolution is transforming the operator’s place in their daily lives. The reality is that operators have no choice but to think differently when it comes to revenue generation. Data commodity means they are barely an asset, and subscribers will want to see more if they are to stay put. While this seems like a bleak trust, operators must embrace these shifting trends as opportunities, and welcome in a new era for the telecoms industry. But the onus is on them to change, and fast. If they don’t, they’ll simply struggle to survive.